The Flash is a spin-off of the popular CW show, Arrow. Brought to you by DC Comics, it’s an action-packed adventure you won’t want to miss. Find out how to get up to speed below! Can’t keep up with our DC Comics speedster? Don’t worry. We’ll give you ways to catch up with the current season of The Flash online. The Flash is a series based on the DC comic book hero, Barry Allen, a.k.a. The Flash. It’s produced by The CW Network and has been on the air since 2014. It’s a spin-off of another CW series called Arrow, which exists in the same DC Television Universe. The premise of the story is about Barry Allen (portrayed by Grant Gustin), a crime scene investigator at the Central Police Department (CPD) who was struck with lightning which grants him superhuman speed. Initially planned as a backdoor pilot, the appearance of Grant Gustin as the man in the suit eventually garnered positive reviews which prompted The CW to make a full pilot to further explain the background of the superhero. The series is currently in its 5th season, running at 114 episodes, with Grant Gustin reprising his role as The Flash. You can catch The Flash on Tuesdays at 8/7 c on The CW. If you go to The CW’s official website, you can watch the latest episodes of The Flash. The catch is that, much like the show’s protagonist, you’ll need to run to take advantage. The episodes are only available for 30 days after they air, and you won’t be able to watch previous seasons. You can also access some bonus materials and behind-the-scenes content. Sadly, all this content is restricted only to those living in the U.S. If you’re out of the country, proceed below to our section on how to watch geo-blocked content. Can Netflix get any better? If you haven’t watched it on this platform, now’s your chance. 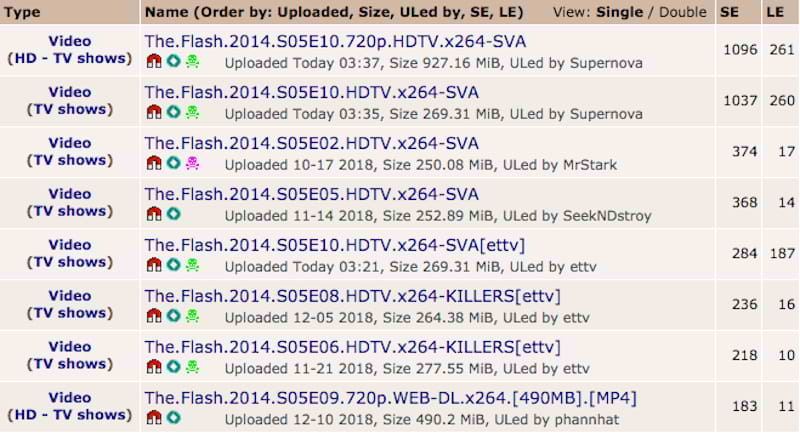 All four seasons of The Flash are available for your binge session, with the exception of the latest season that’s currently on the air. Due to The CW’s deal with Netflix, season five will be available on the platform shortly after the finale airs in May. As of now, the show is available on Netflix in at least 24 countries including the U.S. If you don’t have Netflix, iTunes is your next best bet. All you need to do is to make a U.S. iTunes account to be able to stream all the episodes of The Flash. The platform offers the previous four seasons of The Flash, as well as the current fifth season. Recent episodes are uploaded as soon as the episode airs in the U.S., so you can catch up ASAP to avoid any spoilers. You can download the episodes on the iTunes Store for your computer or iOS device to watch on-the-go. Season passes and purchases include bonus material. Vudu may not be as popular but it’s an underrated streaming service similar to Netflix. The site is owned by Walmart which offers both paid and free media for everyone to view through peer-to-peer sharing. Sound cool? Then check this out. The Vudu app can be downloaded from the App Store or the Google Play Store. So you can watch on both iOS and Android. But be ready to spend some cash. It’s much more expensive than purchasing through the Apple Store unless you’re buying a few episodes or purchase it as a bundle. We get it. You don’t have an account on streaming sites, or you’re trying to save some cash. Luckily there are alternatives if that’s the case. Scroll down below for unofficial streaming options that may offer The Flash. Sigh. Youtube’s probably locked out for its copyright infringement policy, so Dailymotion is your safe bet. However, we always leave a reminder that since this is an unofficial streaming service, you might not actually find every episode you’re looking for. It’s entirely hit or miss and you’ll have to click through some fake videos before you land on a real one. It’s not your safest bet by any means but it’s better than nothing. Dailymotion not doing the trick for you? Moviecafe is another alternative in case you miss a particular episode on the show (or all of it). It’s actually a streaming platform as it advertises, and most of the time it ranks first on the availability of “watch series for free” sites. The downside is that you need to sign up to enable the streaming service. You also need to test every single link provided on the site to find out which one has the highest quality or is not a broken link. If you’re not content with either option, then you can go to Google. 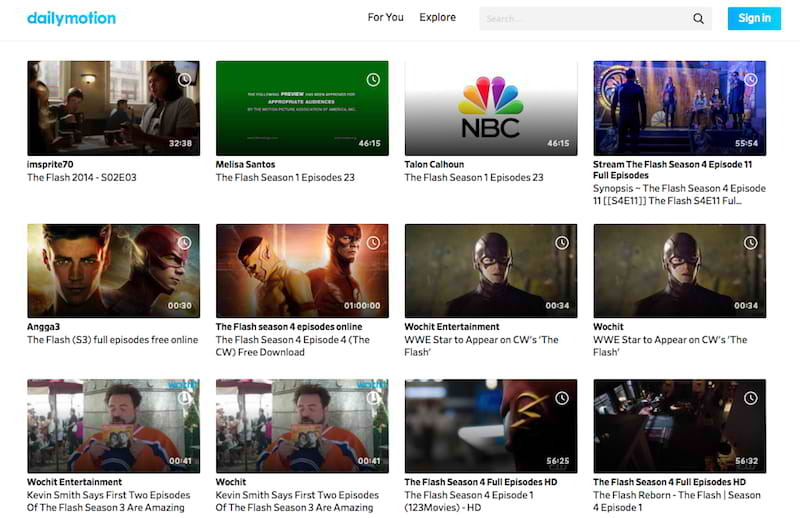 Just type in “watch the flash online free” or “watch the flash season 1 free” and you’ll find lots of streaming sites where you can watch The Flash. But be careful, as these sites tend to have lots of ads and redirections. It’s best to have your AdBlocker enabled for safety (or a premium VPN that has some protection). You might also have to go through some hoops and register to use the site. Oh, and some of them are fake. So we recommend you use a throwaway email address for extra caution. All in all, it’s an option, but we don’t recommend it. Downloading shows is illegal. As we’ve stated before, we do not condone piracy and violations of copyright laws. It may be legal and effective for you to download a particular episode or season if you already own it through legal means, but if you decide to torrent, then you risk breaking the law as sharing even a little bit of it is illegal. To avoid any fines, we suggest you use a VPN for safety and security. You can find some of the best VPNs that we recommend below, or go to our list of best VPNs for torrenting if you still want to torrent. 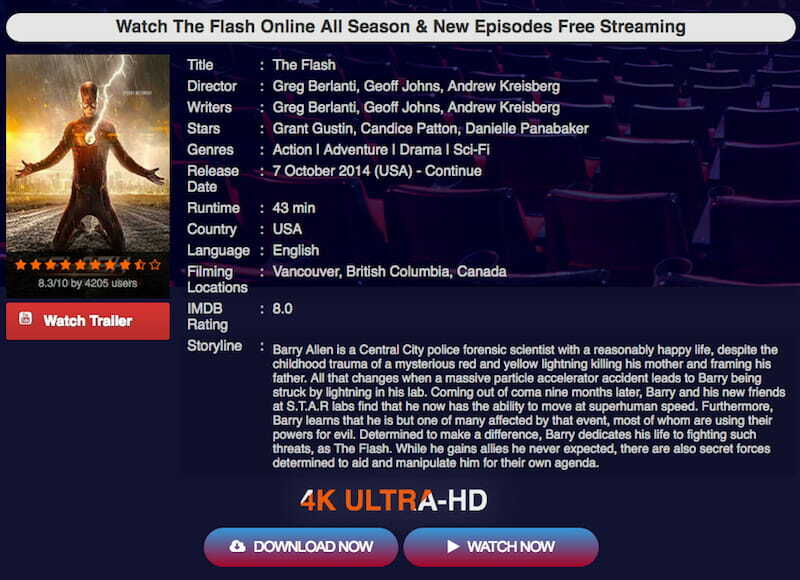 As we’ve said earlier, The Flash is currently offered by The CW only for U.S. residents. So if you subscribed to a particular streaming service only to find the series you want to be inaccessible, then it’s practically useless. If you want to bypass the restriction and stream worry-free, then use a VPN. How does a VPN work, you may ask? A Virtual Private Network (VPN) basically puts a mask on your computer so you can browse undetected. The VPN hides your IP address and uses their own server in various locations around the world so you can browse content not available in your region. It’s like you’re virtually present in the U.S., but physically, you’re somewhere else. That being said, not all VPNs are created equal, and some will fail to access restricted content. For this reason, we’ve featured only the best of the best. 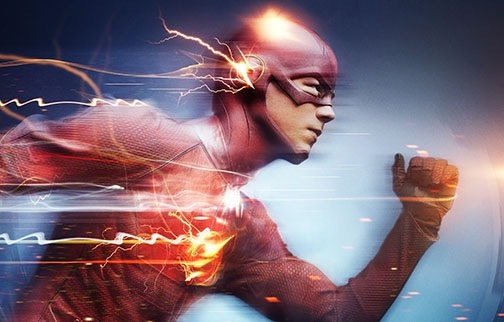 These VPNs will allow you to stream The Flash on the CW website, Netflix, or other geo-blocked streaming platforms. If you browse all day on your mobile phone or computer, then you’ve come across ExpressVPN. It’s the most top-rated VPN out there. If you want to watch The Flash on The CW App, then this is for you. You just need to register, subscribe, then enable it. That’s it. No additional work. You can start streaming on absolutely any site provider anytime. Subscription starts at $8.32 per month for a 1-year membership. That’s less than a Netflix subscription, and you can watch various shows on other sites. ExpressVPN also allows fast torrenting, with dedicated P2P servers. Sweet. ExpressVPN’s prices might be on the higher end for you. If that’s the case, go for our second best bet, NordVPN. It’s a much more affordable version of ExpressVPN at $2.99 per month if you subscribe to their 3-year plan. That works out to only $107.64 for unrestricted access for 36 months! NordVPN also offers the same features as ExpressVPN like fast internet speeds, quality servers, and geo-unlocking, and torrenting support. Did you find our recommendations to be helpful? Sure, you do! Find your bed or hold onto your device to start your streaming madness. The Flash is currently in its 5th season so if you want to get up to speed, get started without delay. Always remember that you can bypass geo-restrictions through our recommended VPNs that unlock streaming sites. Don’t be left behind. Catch up to The Flash!